Are your students struggling with big numbers in English? 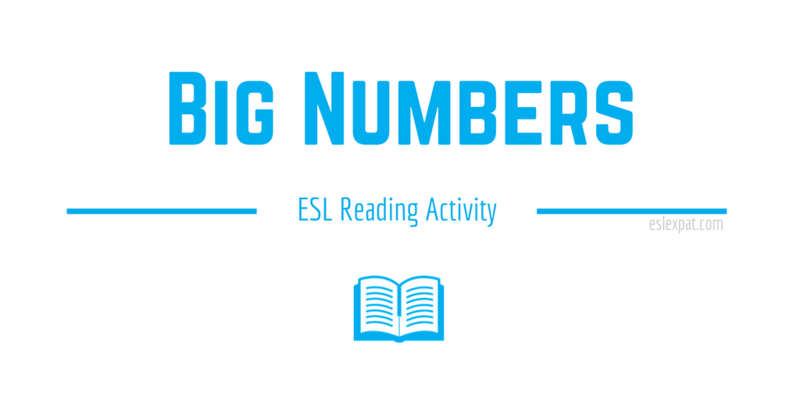 The Big Numbers ESL Activity can improve your students’ confidence with using larger numbers in both reading and writing. This activity is very similar to a jigsaw reading activity. However, the main focus is on large population numbers across the world in different countries and cities. It is an effective lesson for kids and adult learners of all ages. You need to prepare some facts and figures beforehand on two similar handouts. Research the populations of different countries and cities around the world. Make about 10 sentences on the handout. Since it is a jigsaw reading activity, leave blank spaces on every second question. Therefore, one version of the handout will have answers and the other version will have the blank spaces. For example, see the two sample versions below. 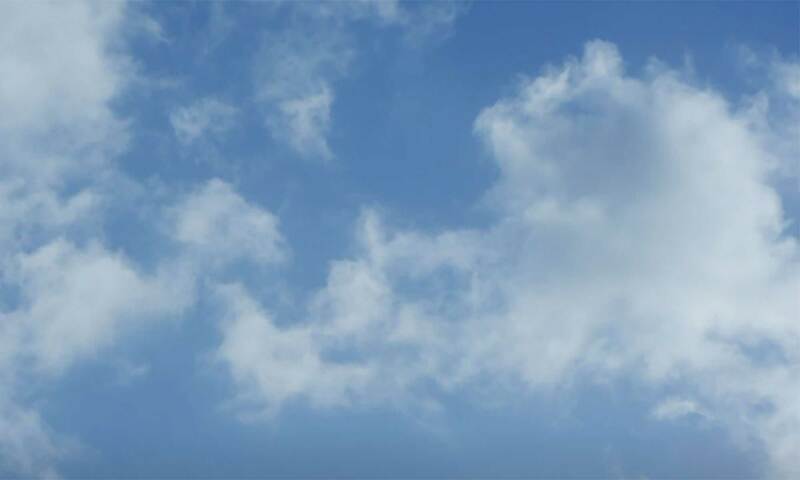 The population of Japan is 127,000,000. The population of Los Angeles is _________________. The population of Brazil is 207,700,000. The population of Rome is _________________. The population of Japan is _________________. The population of Los Angeles is 3,976,000. The population of Brazil is _________________. The population of Rome is 2,868,000. Feel free to create alternative themes besides population numbers as well. For instance, you could add distances to various locations, heights of mountains, or references to other geographical landmarks etc. To start the lesson, you may want to have the class discuss some facts and figures about the world. Talk about some popular travel destinations and places that students would like to go. On the board, you could make two columns. One could highlight where students have traveled in the past and the second column could be where they would like to travel in the future. Next, after leading feedback and filling the two columns up with cities and/or countries, have students guess what the populations are for each place. Try to limit smartphone use. The aim is for them to guess. This could be done in teams for some competition. Then, after you have written their guesses on the board next to each location, have them look up the exact population. If you want, reward the team who chose the closest with some bonus points. For the next stage, tell the students that they are going to do a reading exercise with the two handouts that you prepared. Put the students in pairs. For each pair, give version A of the handout to one student and version B to the other partner. Remind them not to look at their partner’s paper. Student B would then write the number on her paper in numerical form: 127,000,000. Then, Student A would ask Student B the next question. The pairs of students would continue in this manner until both of their handouts are complete. As the pairs are asking and answering questions, monitor the class and offer assistance whenever necessary. At the end of class, you can lead feedback and correct all the answers. Highlight any difficulties with pronunciation or other problems that you noticed. If time remains, you could review difficult numbers by doing a simple dictation. You could also play a game of Charades with the locations or try the Pictionary ESL Board Game. They are both fun ways to end the lesson and helpful methods to review the material.